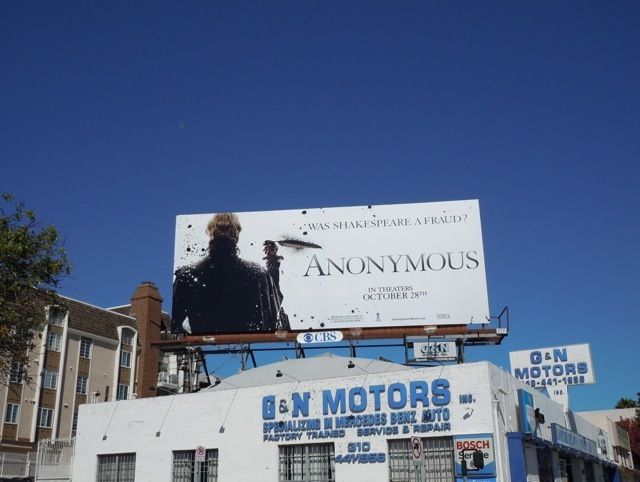 From 17th century France yesterday to Elizabethan England today and some billboards for a new Shakespearean tale. 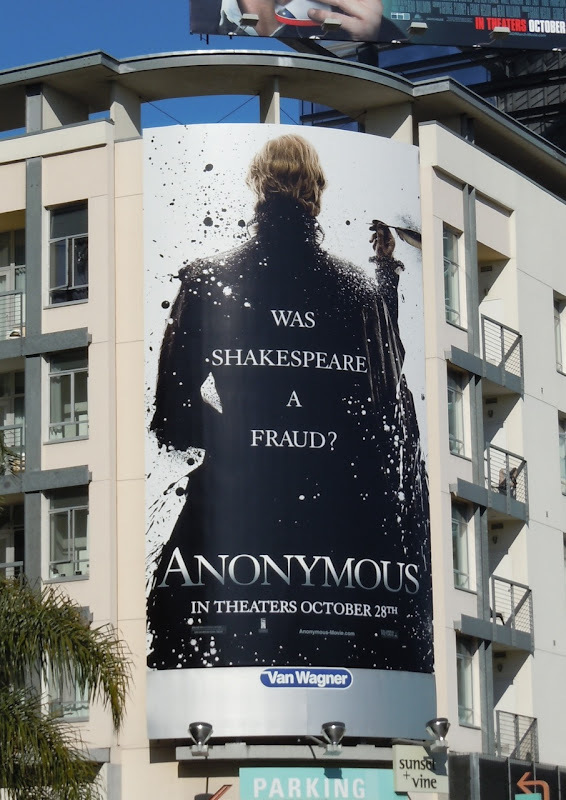 Daily Billboard loves this creative for Anonymous asking the question, was William Shakespeare was a fraud? 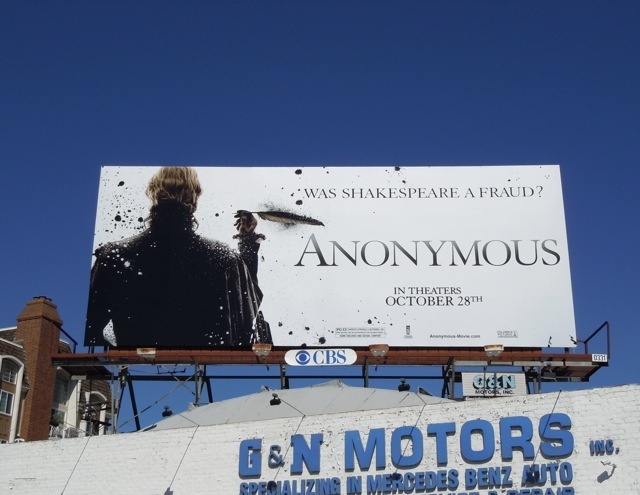 With the writer's back turned and identity unrevealed on the billboard, it helps to imply that maybe someone else did write the famous playwright's works, with the ink blots adding a nice touch of drama to the visual. 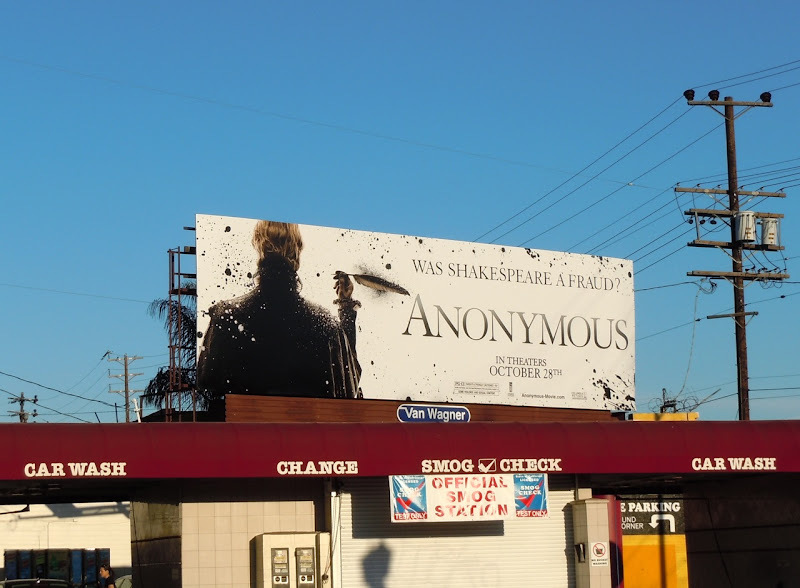 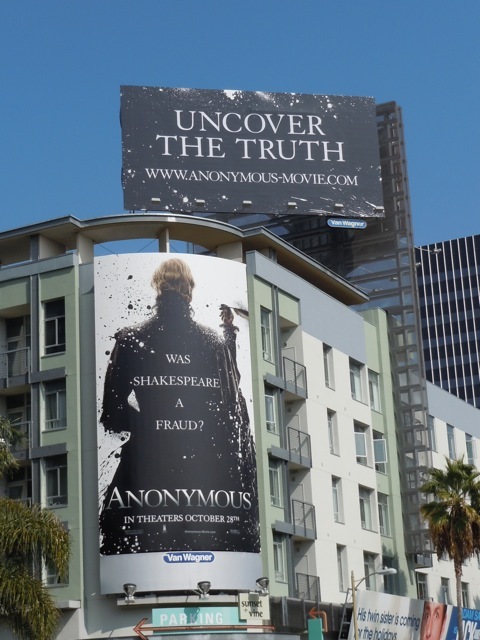 The larger billboards for Anonymous were photographed at Sunset & Vine opposite the Cinerama Dome, whilst the standard size ads were snapped along Santa Monica Boulevard and Melrose Avenue at the beginning of October 2011.